Premier International is considered as the prime manufacturer and supplier of Incline Impact Tester. 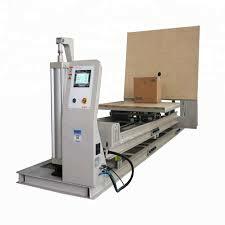 The Incline Impact Tester offered by us is used for determining the impact strength of the boxes/containers made from cardboard, plastics or wooden materials. These are available in different models and capacities pounds with necessary modifications in respect of track length, dolly size etc. the Incline Impact Tester have ruggedly built design to withstand continuous usage. Also, it has an automatic release mechanism. Complete with traveling chain and driving motor.